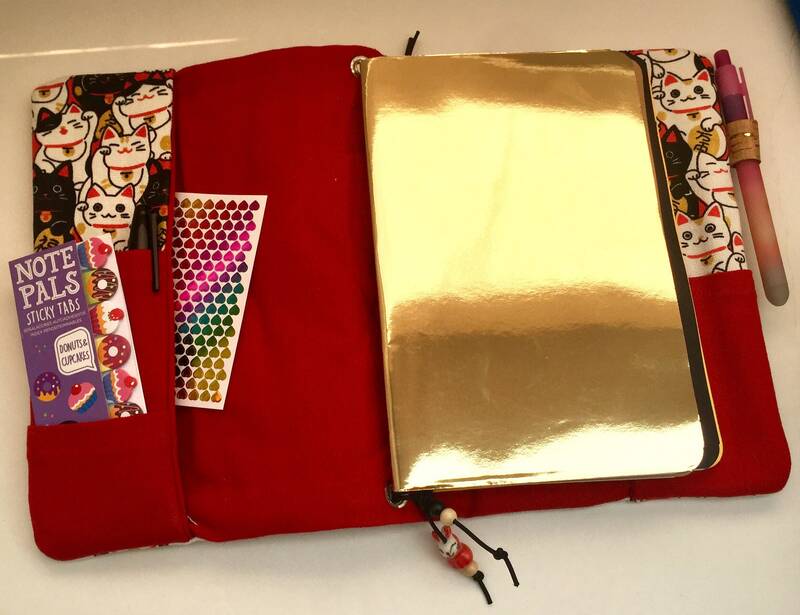 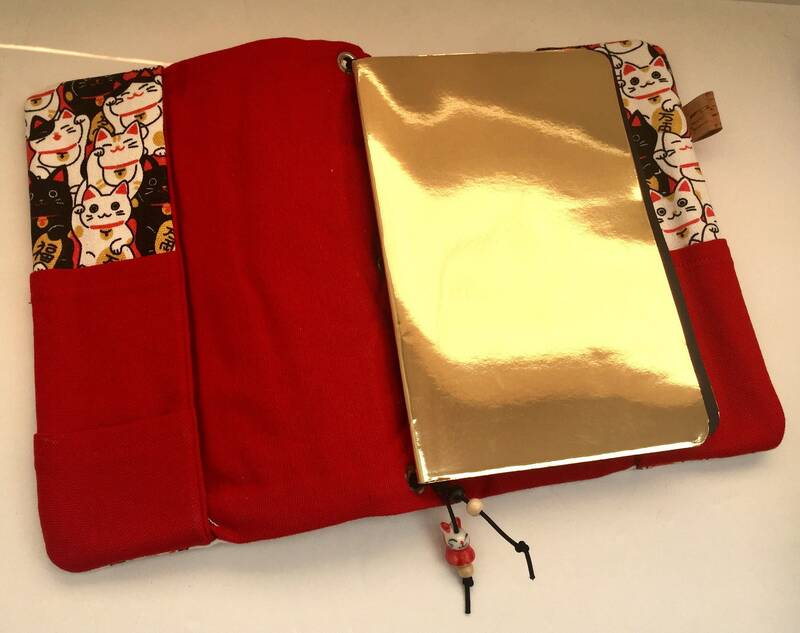 This is an adorable handmade canvas traveler's notebook with a charming lucky cat print cover that would make a great gift for writers, artists, teachers, students, and bullet journaling enthusiasts. 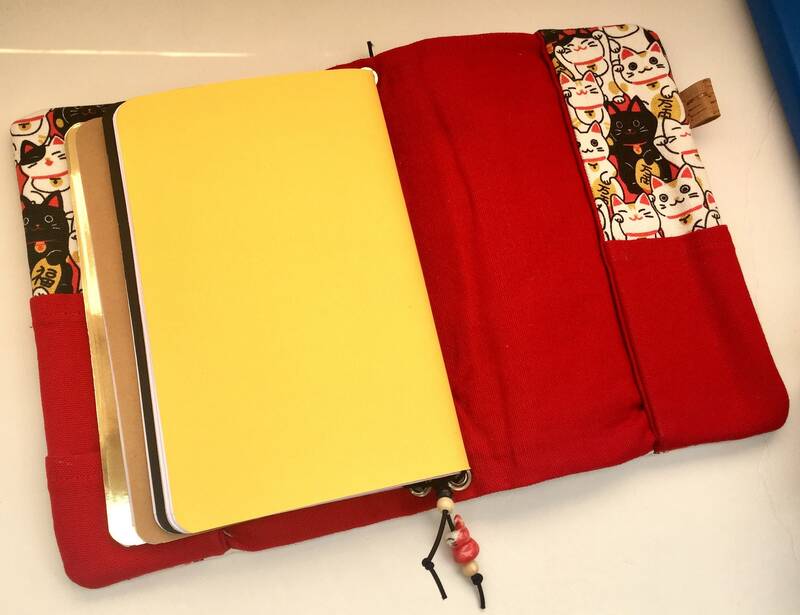 This A5 sized notebook is roomier that traditional traveler's notebook. 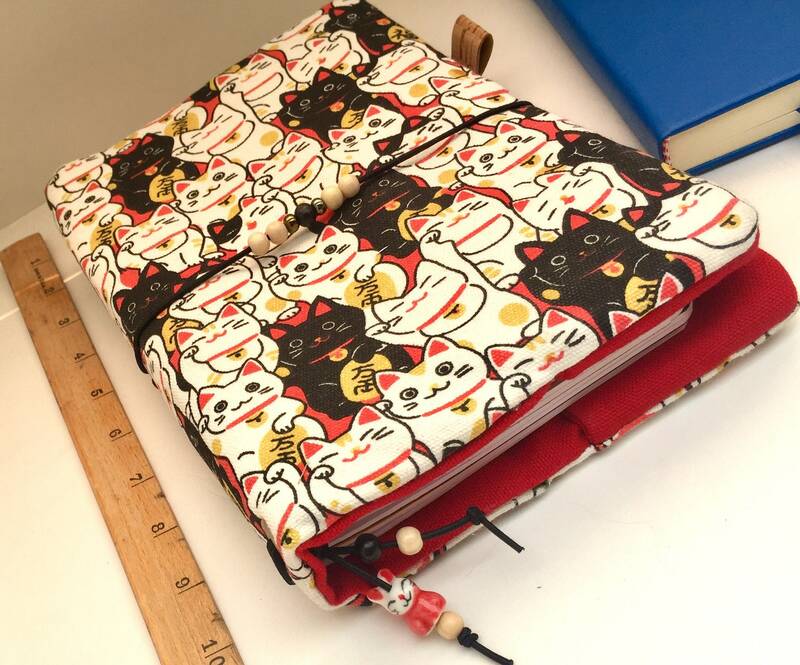 Just picture a stack of standard copy paper folded in half and you will get an idea as to the size. 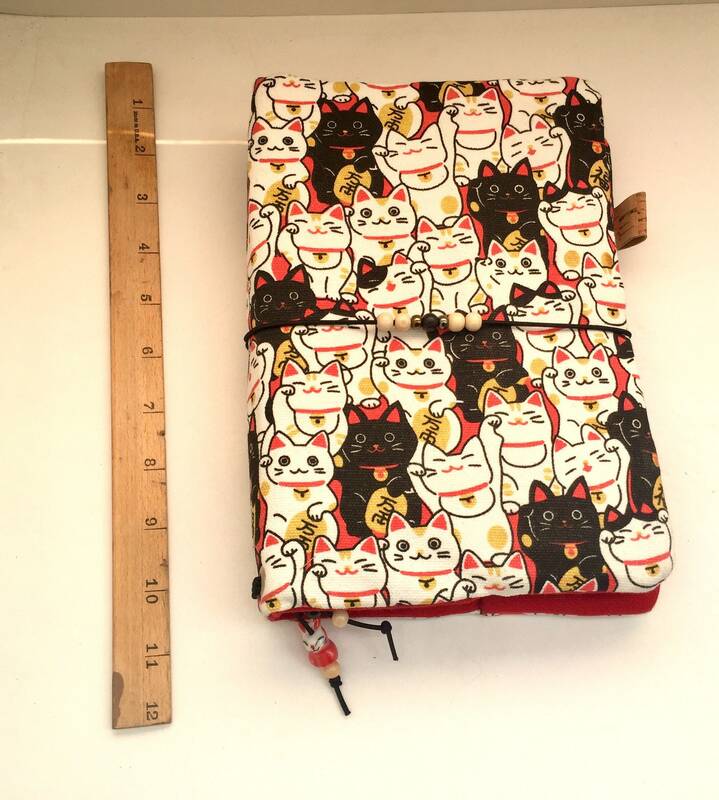 Crafted in canvas and cotton, this durable notebook boasts several pockets for storage of pens and accessories. 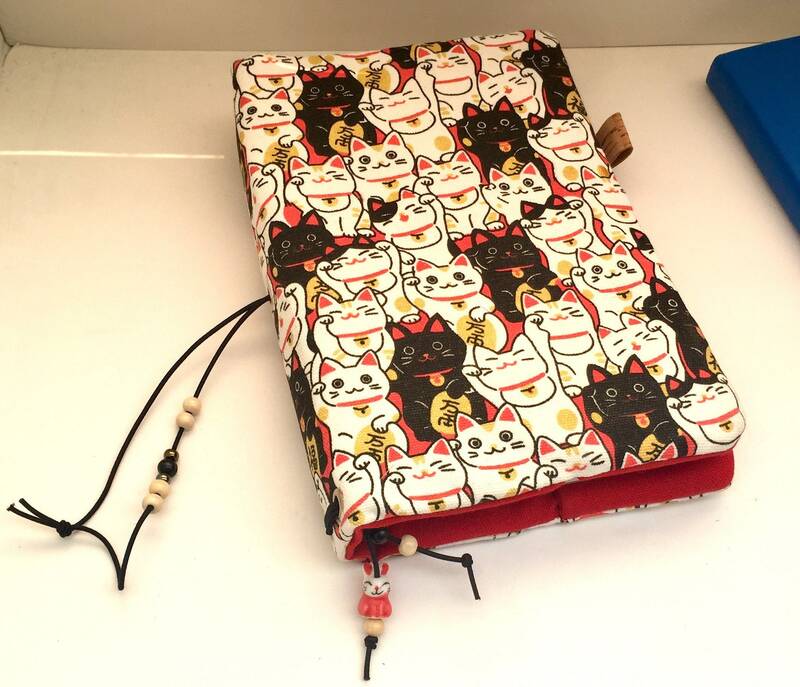 The notebook cover itself has a system of elastic bands that holds removable paper inserts, a strong elastic closure embellished with coordinating beads, and a pen loop. 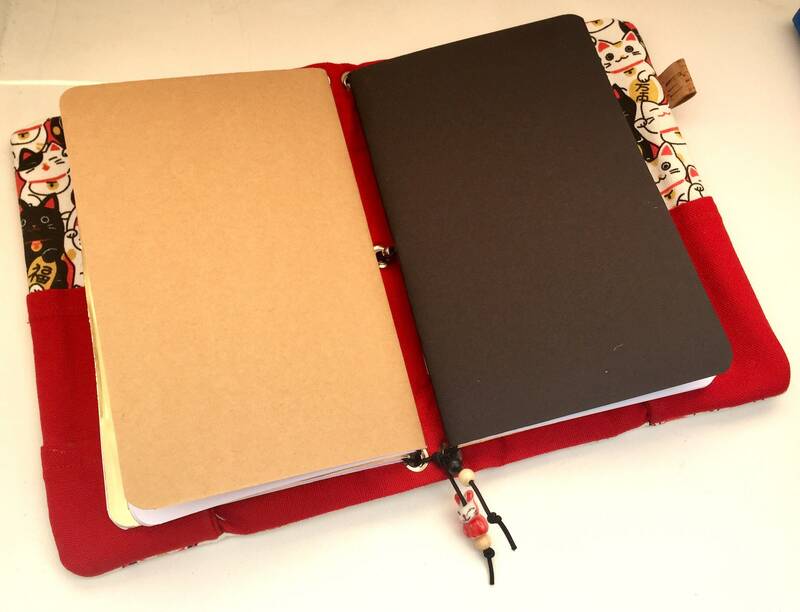 Four blank handmade inserts included. 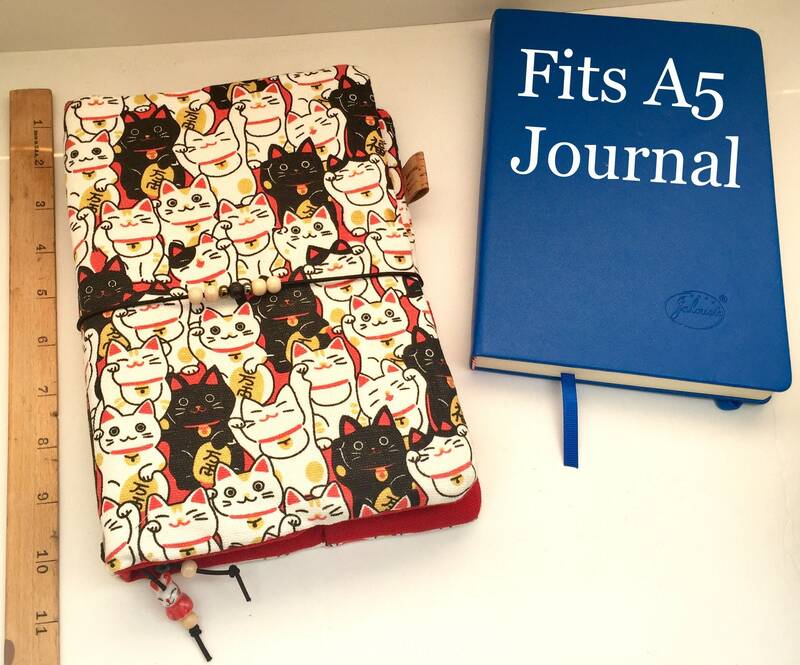 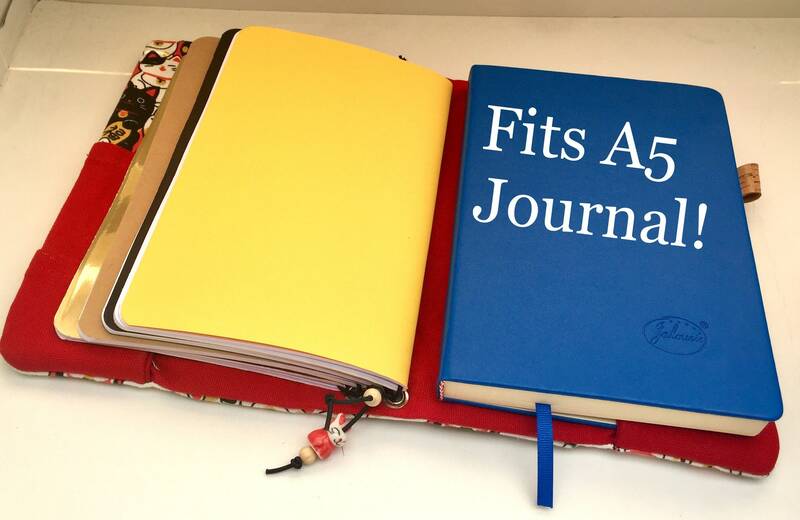 -Journal cover measures about 9.5" x 7", sized correctly for A5 inserts and accessories. 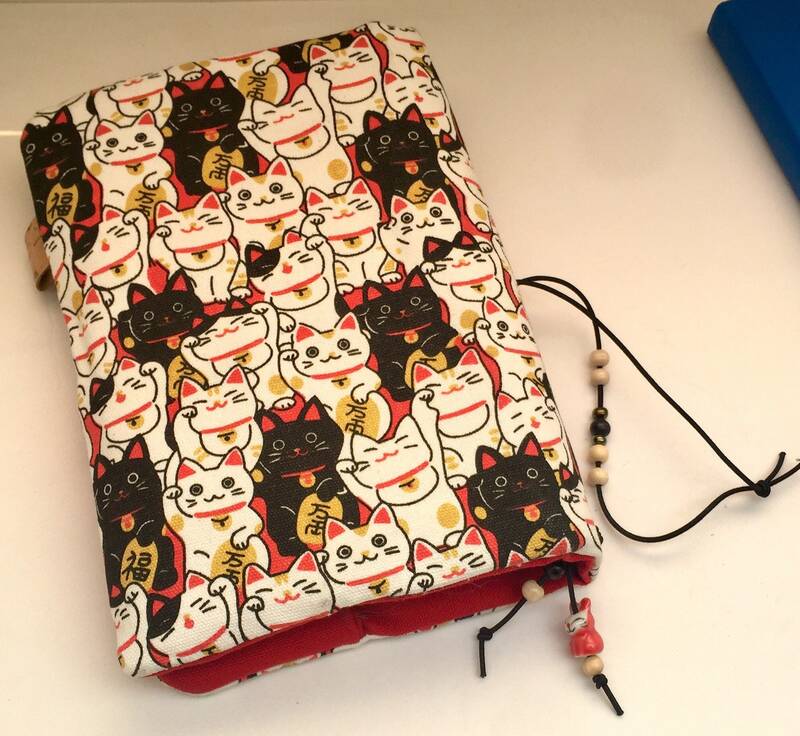 Thanks for shopping at DoodleStitchArt and supporting an independent artist!